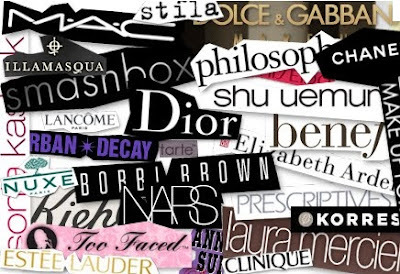 Certainly, each of us has cosmetics of certain brands which we really want to try but always something stops us from purchase. Today, I would like to tell you about a few of these companies. Their cosmetics and especially highlighters are well-known all over the world and I have a huge desire to buy something, but I always thinking does I really need this? Recently I bought a few highlighters and it's not a product that quickly ends so probably I will buy something from Becca when brand will be on a huge sale or I will finished what I already have. A luxurious and unfortunately expensive brand from which I want to have something in my collection from a long time. Unfortunately, at present it's also hardly available in England because if I'm not wrong only one drugstore distributes Marc Jacobs makeup :( On my wishlist I have from long time coconut primer, brozner and eyeshadow palette, so I hope that in 2018 something will finally get into my hands. I've never try anything from this brand and I'm very intrigued about their skin care products because makeup cosmetics are rather not my alley. As soon as I finish these tonics that I currently have open, I will buy the iconic Pixi Glow Tonic. This ones who reads my blog regularly knows that I am a total freek when it comes to eye shadows. I absolutely loving collect palettes, these are products which mostly attract me in the brands offers, that's why I am totally surprised that only with Smashbox I am interested in face products. I am very interested in their modeling face palettes, primers and Studio Skin foundation. I hope that I will have the opportunity to test something on this year. 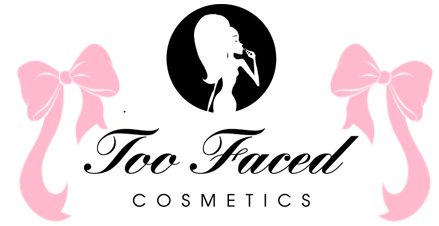 Too Faced has recently become very popular, wherever I look always someone writes or tells how good their cosmetics are. Eyeshadow palettes are not exactly my cup of tea, but I would like to try the born this way line- foundation and concealer. Currently, I have two gift cards to Debenhams, so I hope that finally I will be able to buy something from them because I don't know why I wait so long. Have you ever tried any of these brands?